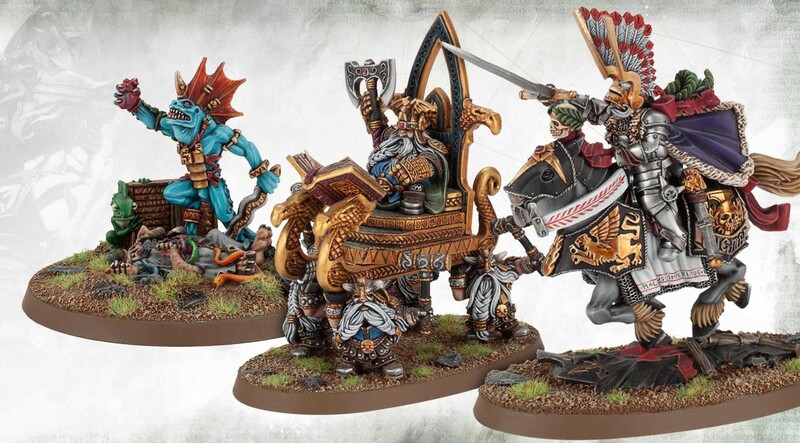 There is a new batch of Made-to-Order items up for sale for the last time from Games Workshop, plus Kill Team: Rogue Trader is now available for Pre-Order! 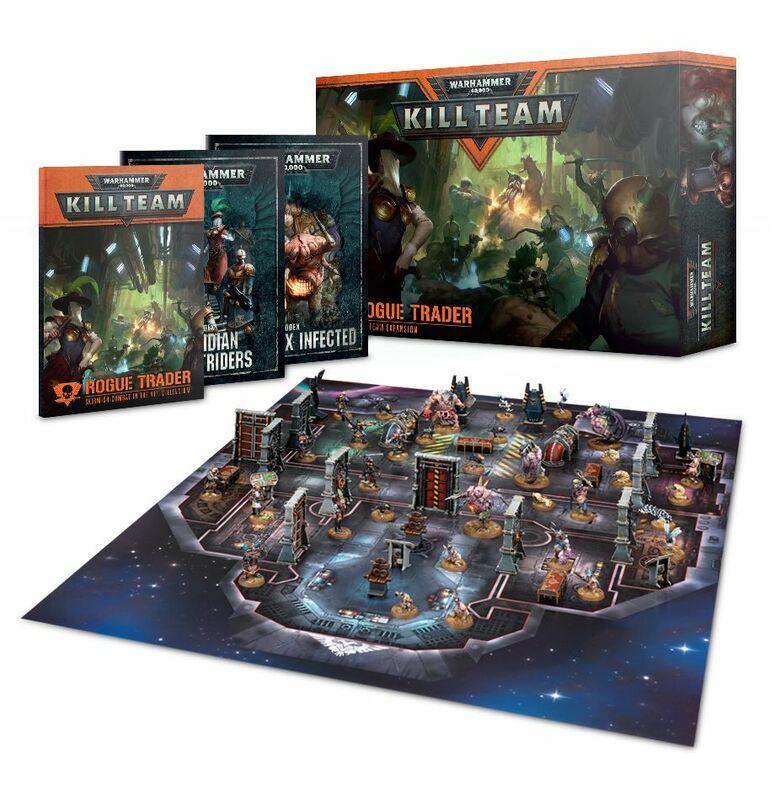 Kill Team: Rogue Trader is an expansion for Warhammer 40,000: Kill Team, the fast-paced tabletop miniatures game pitting small bands of elite specialists against each other in vicious skirmish combat. This set adds 2 new factions, new environments, new missions and a host of new rules, allowing you to recreate desperate battles beyond the borders of known space. 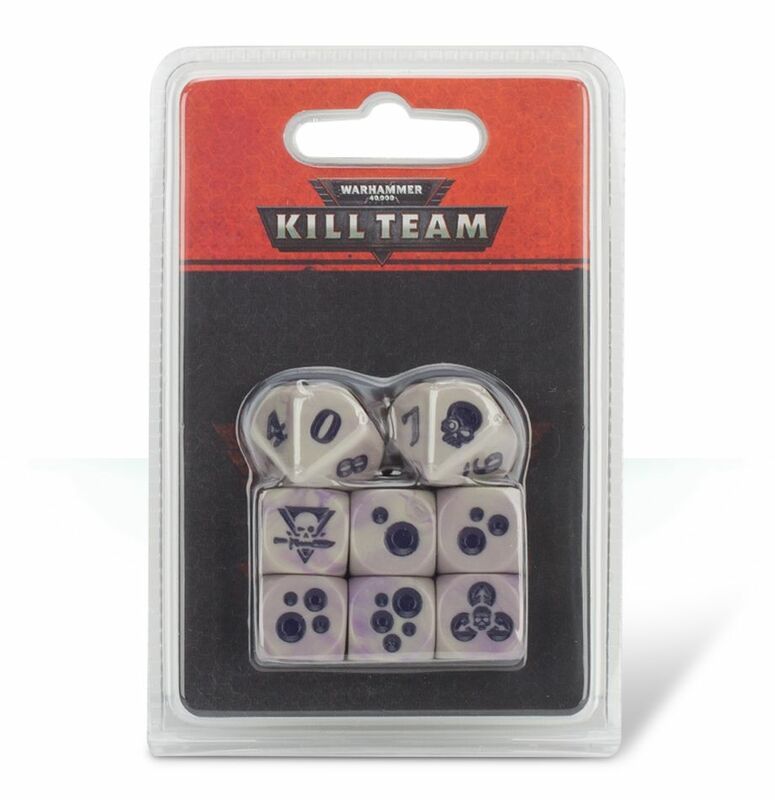 This set contains 6 6-sided dice and 2 10-sided dice – the former used during games of Kill Team, the latter used to roll on certain tables when assembling your squad ready for combat. Themed to match the Elucidian Starstriders, these dice are grey with gold markings. The D6 feature the personal crest of noted Rogue Trader Elucia Vhane in place of the 6 and a Kill Team logo in place of the 1; the D10 feature a skull in place of the 1. 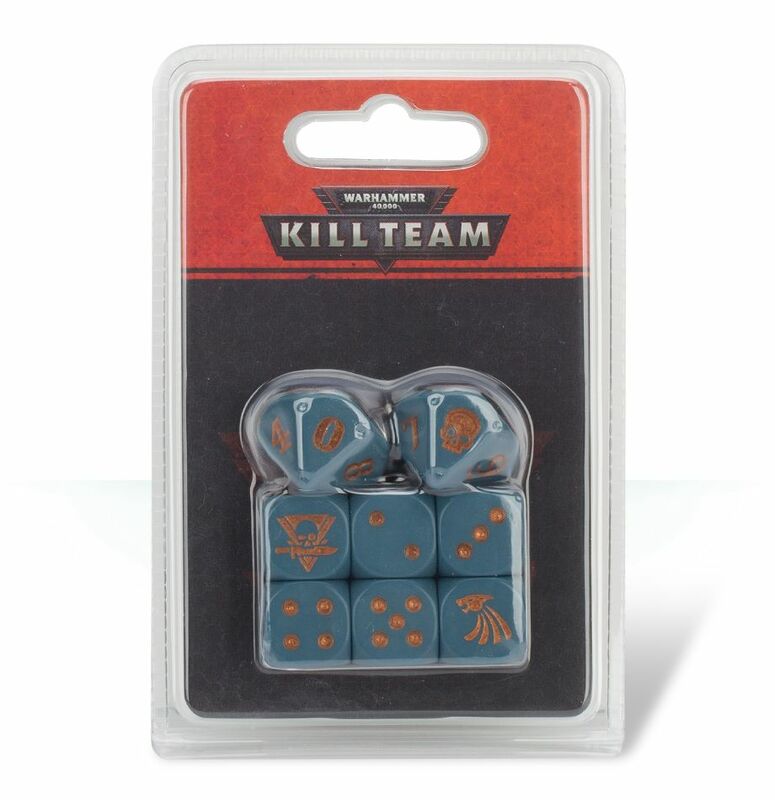 This set contains 6 6-sided dice and 2 10-sided dice – the former used during games of Kill Team, the latter used to roll on certain tables when assembling your squad ready for combat. Themed to represent the Gellerpox Infected, these dice are swirled purple and off-white, with purple markings. The D6 feature an icon of Nurgle in place of the 6 and a Kill Team logo in place of the 1; the D10 feature a skull in place of the 1. Made To Order: These product is made to order and will be dispatched within 35 days. Thorek Ironbrow is a Runelord like unto those of legend. In the best of his moods, he is fiercely irate and a living terror to his apprentices in the weapon shops of Karak Azul, where he has ruled for centuries on end. He can never be found without his Anvil of Doom and his most able assistant, a long-suffering Dwarf named Kraggi. This multipart resin kit contains the components necessary to assemble Thorek Ironbrow. Toiling away at the Anvil of Doom, Thorek is a fine example of a dwarf – he features a large beard, horned helmet and clutches Krad Brakak in his right hand. The Anvil is guarded by 2 further dwarfs, each with runic shields and large hammers. 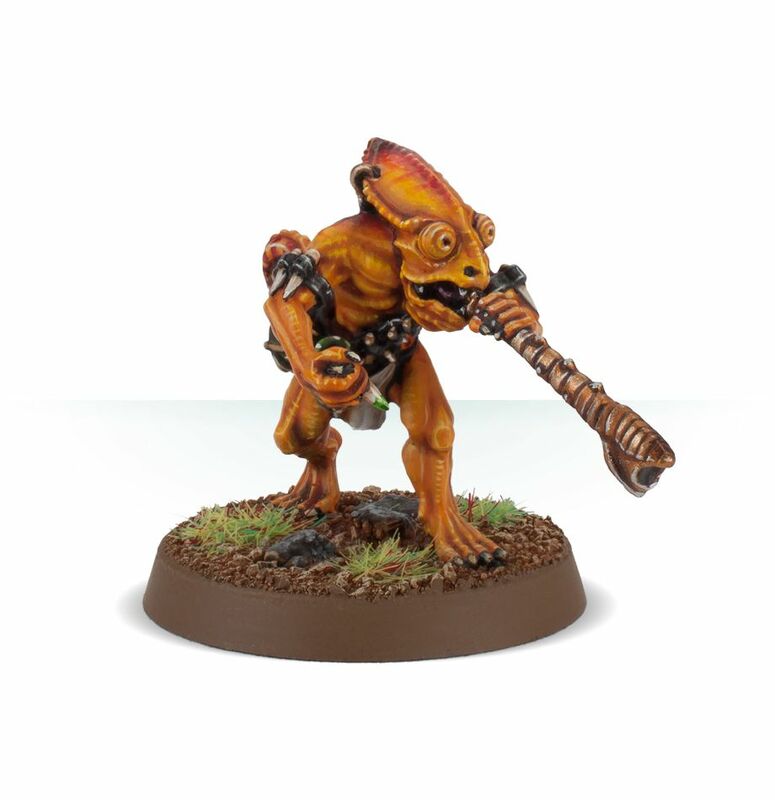 He is accompanied by his apprentice Kraggi – this character is supplied as a separate miniature, wearing a thick leather apron and poking at a furnace. The furnace is detailed with yet more runes, with a bellows and chimney. 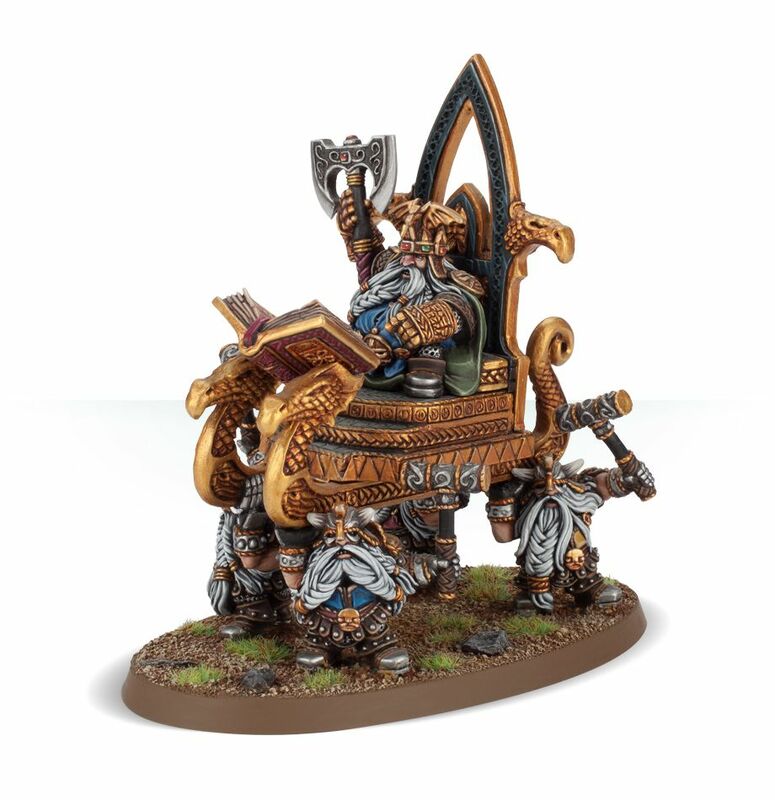 Thorgrim Grudgebearer is the current High King of the Dwarfs. He is a throwback to the High Kings of old – eager for new conquests, mighty in battle, and a merciless enemy. Yet upon his worn brow, there also sits wisdom, and he is able to uphold the ancient traditions as well as to accept needed changes, such as alliances and new technology. 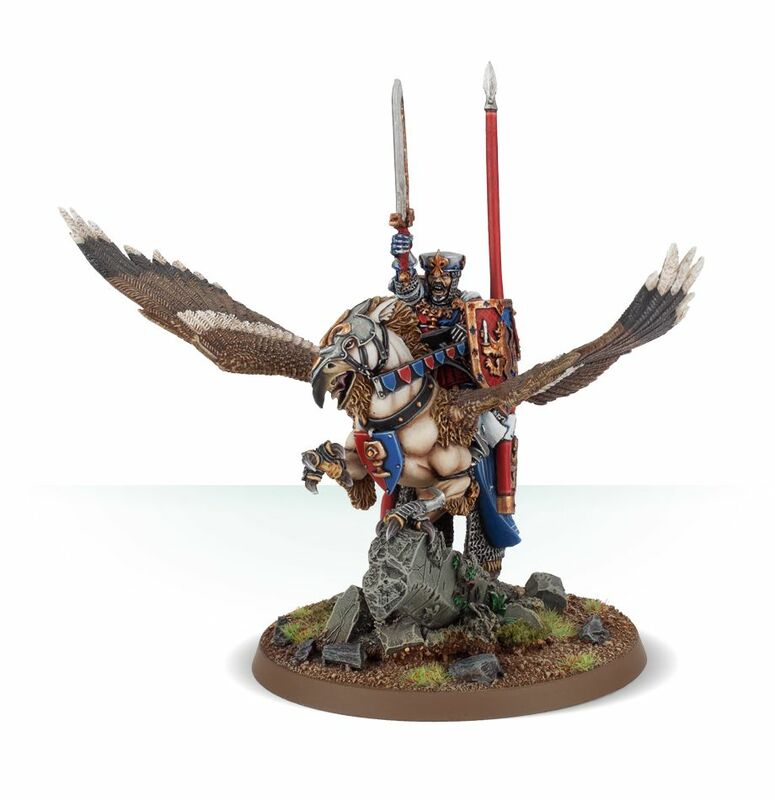 This multipart resin kit contains the components necessary to assemble High King Thorgrim Grudgebearer. He sits atop the splendid and ornate Throne of Power, which is borne aloft by 4 Thronebearers, each wielding a hammer in their free hand. Thorgrim wields the Axe of Grimnir, waving it ominiously while reciting from the Book of Grudges – a weighty tome at the fore of the Throne. Louen Leoncouer is the greatest leader of the Bretonnians since Gilles the Uniter. A mighty warrior king, his subjects know well that the he is the pinnacle of knightly perfection and honour. 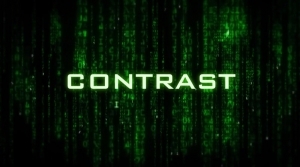 Highly skilled on the field of battle and a master of tactics and strategy, he has never known defeat. This multipart resin and plastic kit contains the components necessary to assemble King Louen Leoncouer. A striking miniature, he rides his enormous Hippogryph Beaquis to battle – this creature is depicted rearing back, claws bared and beak open. Louen himself wears the Crown of Bretonnia – as is only right and proper – and bears the Lion’s Shield. 2 different head options are supplied with the kit: a fully-enclosed helm, and a variant with the King’s bearded face fully visible. 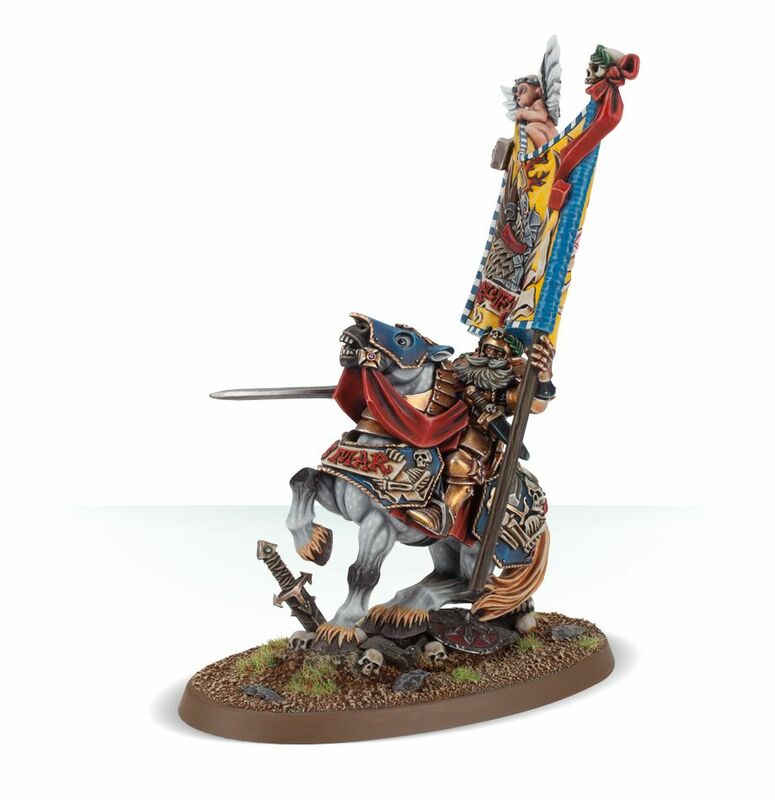 Ludwig Schwarzhelm is the champion of Karl Franz and the bearer of the Emperor’s personal standard. Ludwig is a towering figure of a man, renowned throughout the Empire for his mighty physique, stern expression and deadly martial skill. The Emperor’s champion is said to have never smiled in his life and this reputation as an uncompromising, incorruptible warrior is one Ludwig has consciously cultivated over the years. This multipart resin kit contains the components necessary to assemble Ludwig Schwarzhelm. Most noticeable about this miniature is the towering Emperor’s standard held aloft in his left hand – easily twice the height of the rest of the model, and topped off by a cherub and wreathed skull. 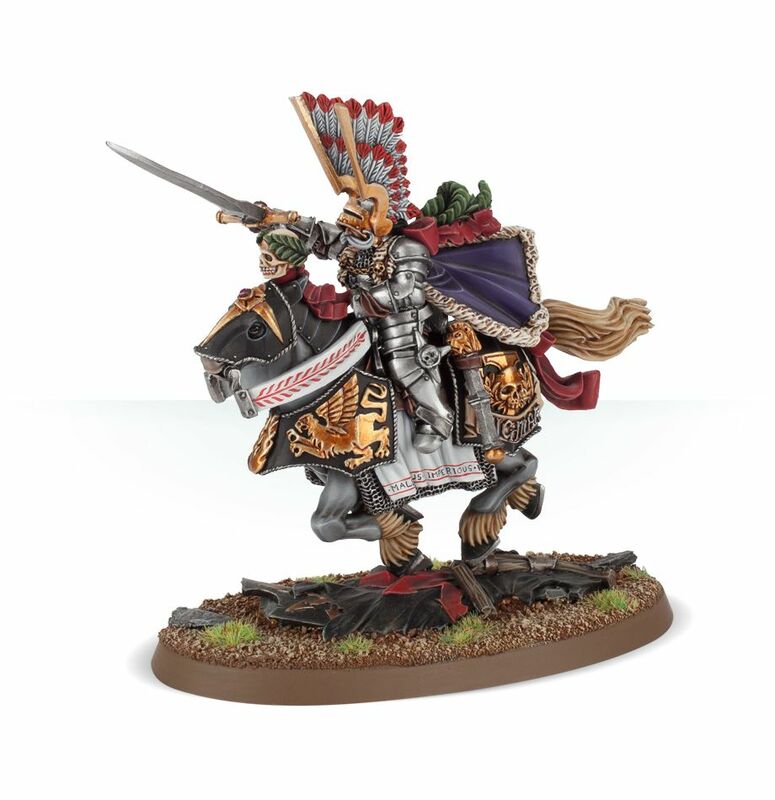 Schwarzhelm himself has heavy plate armour, great deal of beard, and the Sword of Justice – this is all carried on a powerful, rearing warhorse. Kurt Helborg is the Captain of the Reiksguard and Emperor Karl Franz’ most trusted military commander. Tall and strong, he is the very image of a heroic general; his engraved armour is polished to a mirror sheen and his sword arm is as strong as his courage is unbending. This multipart resin kit contains the components necessary to assemble Kurt Helborg. Clad in heavy plate armour and mounted on his steed Krieglust, Helborg is an impressive figure bedecked with finery, from his flowing cloak to feathered headdress (and spectacular moustache…) Krieglust boasts equal finery, with mail hanging down over his muscular frame. Helborg wields the Sollund Runefang in his right hand, pointing it toward the foe with vigour and fury. A figure of awe and inspiration, the Fay Enchantress is a personal representative of the Lady of the Lake, and as such is the most influential figure in all of Bretonnia. Her will is that of a goddess, and even the kings of Bretonnia must bow to her wise counsel. The Grail Knights, having sworn their lives completely to the goddess, are bound by their sacred oaths to respond to any call or decree she might make. 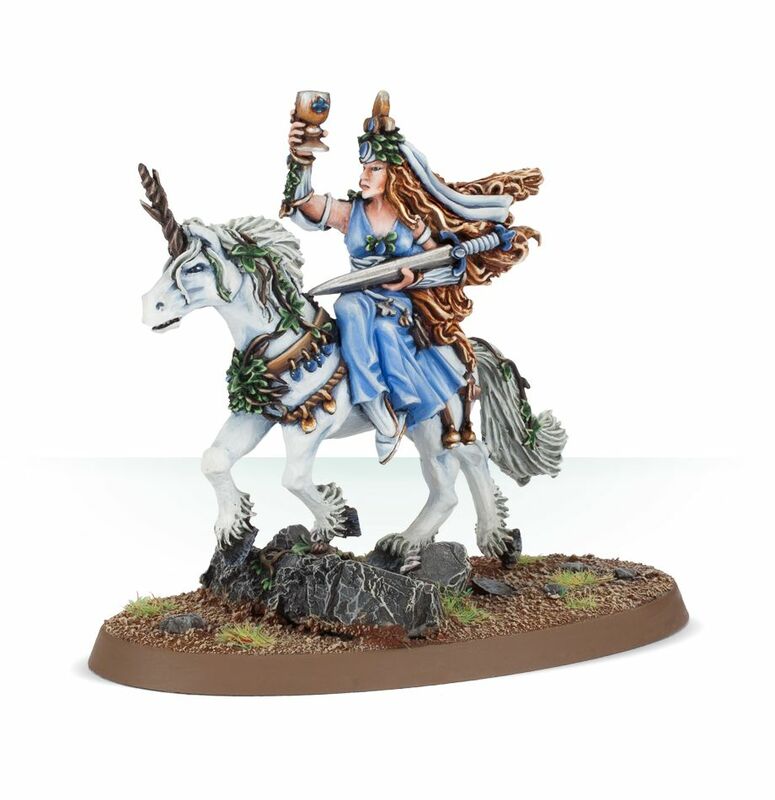 Hair billowing behind her, Chalice of Potions held in her right hand, the Fay Enchantress rides side-saddle upon her steed – the unicorn, Silvaron. She wields the Blessed Blade in her left hand, and is covered here and there with ivy – as is Silvaron, who also features a jeweled saddle and bridle. Tehenhauin is the first and greatest Prophet of the Serpent God, Sotek. It began when Tehenhauin rallied the population of disease-ridden Chaqua, leading them out of that defiled city. Idolised by his fellow Skinks he prophesied the Serpent God’s coming. Menacing and tall, Tehenhauin is clad in a scaled chestplate with several ceremonial bands around his arms and legs. He stands upon the Plaque of Sotek, and holds aloft a sacrificial victim’s heart – no doubt cut out with the Blade of the Serpent’s Tongue, a wicked-looking sword held in his right hand. This model is topped off nicely by the large crest and horn on his head – clearly an important Skink! One of the rare breed of Chameleon Skinks, Oxyotl was already an accomplished hunter when Chaos came to the world. After enduring trials within the Realm of Chaos itself, his own return is regarded as an omen. It is unknown how he escaped, yet he has gathered others of his recently-spawned kind and resumed the hunt against Chaos, his most hated foe. This multipart resin kit contains the components necessary to assemble Oxyotl. 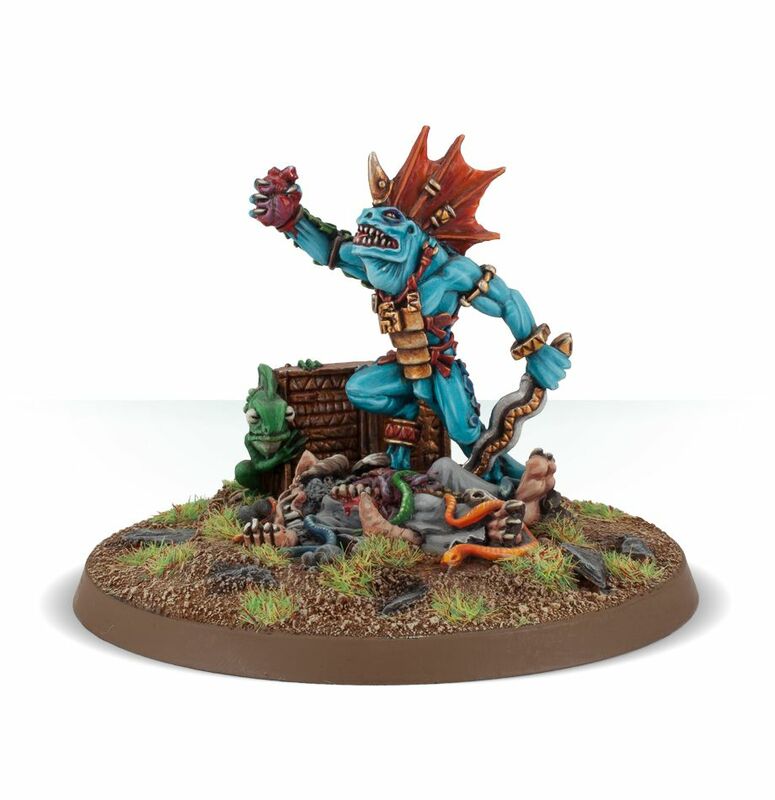 A particularly fine example of a Chameleon Skink, he is tall and muscled, wearing little more than a loincloth and a couple of trinkets, and comes armed with the Golden Blowpipe of P’toohee. That’s all from GW this week – What are you picking up?